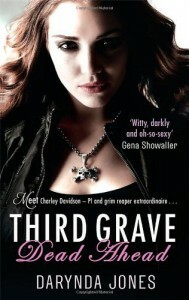 Third Grave Dead Ahead - Darynda Jones - review - There is a great need for a sarcasm font. Yes, indeed! Another amazing one of the Charley Davidson series, the background story it's getting more interesting with its book, I'll go for the fourth one soon.